It happens to us many times. You hear a song on the radio that you want to download on iTunes when you get home. The problem is that you don’t remember any of the lyrics (or you couldn’t understand any of the lyrics) to type into Google so you can identify the song. A similar situation happened to me. It was a song I always remembered hearing in the 90s. They always played that song at CVS/pharmacy where I work. But I just couldn’t understand a word the artists were singing. When you are faced which such an annoying dilemma, there are three services online that you can turn to. SongTapper never did anything for me. Basically, you would tap the beat of the song somehow on the spacebar. When I tested this service, it only worked on really mainstream songs like “Mary Had a Little Lamb.” My obscure song could not be identified. Apparently, no specific or obscure songs were included in the database. 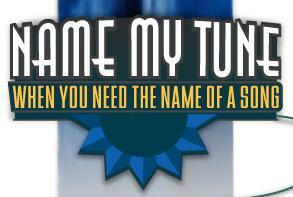 The NameMyTune website is where I found the answer. It is essentially a clearinghouse of hummed tunes to unknown songs. People record the hummed melody on their computer microphone with the embedded flash program. Other users contribute to the cause by listening to the songs and emailing their answers to the originator. I felt pretty stupid when I recorded myself humming the melody of this song. I felt even more stupid listening to the playback to make sure it recorded everything correctly. It sounded stupid and I felt stupid. Stupid, stupid, stupid! But I didn’t feel so stupid when I got a reply a day later. Some bored soul emailed me the title of the song and the artist that performed it. I was ecstatic! Many of you probably know the song “Roll to Me” by “Del Amitri.” That was it! This is a new service from Nayio that I learned through digg.com. Personally, I’ve never tried it but it sounds promising. It is similar to NameMyTune. The only difference is that a computer will attempt to identify the song like the tap-the-rhythm program. This time, Nayio has the entire Napster music database at its disposal to compare with your hummed audio clip. Of course out of these three services, I would choose NameMyTune of Nayio. The only thing that may be hindering you now is your ability to actually hum on key. Post your experiences with these services or tell us any other ways we can identify a song! This entry was posted on Wednesday, February 28th, 2007 at 4:23 pm	and is filed under Internet, Music, Reviews. You can follow any responses to this entry through the RSS 2.0 feed. You can leave a response, or trackback from your own site. For classical music, there used to be a book called Dictionary of Musical Themes (pub. in the 1950s, I think). If you could a theme in the key of C, you could look up the note sequence in the alphabetical index that directed you to a few bars of music of the piece. So if you looked up E E F G G F E D that would direct you to Beethoven\’s Symphony (or anything else that started with the same sequence). So what would it take to turn that book into a searchable-by-humming index? I mean, other than a massive infringement of copyright! It is an amazing application that figures out which song is playing out the microphone. One tune had seriously irritated me for years and 5 minutes ago I found this site called Midomi which found my tune in seconds! Now if these sites would only take a small music file. I’m having trouble getting my bluetooth headset to record, but I’m sure I could get my phone to record me and then I could send them the recording. helplessly tried to identify Rossini (quite a famous overture) Maybe the system is poor for classics?